A new jewelry designer to our store and now available online, Disa Allsopp. 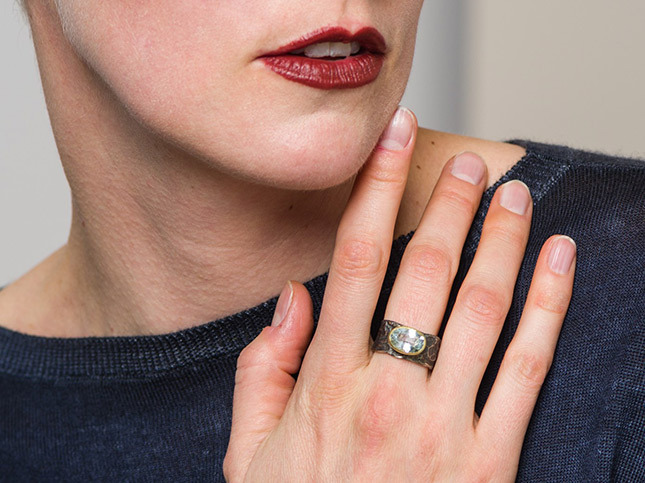 Disa creates jewelry inspired by ancient traditions and style of the Etruscans, Egyptians, and Greek and Roman civilizations, often creating unique textures and finishes. The collection of handmade rings and earrings is also available to shop in-store at Workshop on the Plaza in Downtown Santa Fe. Shop all available Disa Allsopp jewelry online.